You’ve probably heard about this book by now. Even John Humphries sounded interested in it when he interviewed Anna Freeman on a Saturday edition of the Today programme and he hardly seems a fiction fan – that’s more Jim Naughtie’s territory. The hook is an eighteenth-century female pugilist – not something I think I’ve ever come across in a novel before – but what drew me to it was its setting in Bristol, just down the road from me. The eye-catching Sarah Waters puff adorning the jacket didn’t influence me but I bet it delighted Freeman – who wouldn’t want one of those on the front of your first novel. And it’s good, too. The female fighter in question is Ruth, the ugly daughter of a madam whose brothel is frequented by the gentry. Dora, her other daughter, is a luscious if sharp-tongued prize sold dear and soon finds herself a ‘fancy man’ whose exclusive property she becomes. Or at least that’s what he thinks. The son of a local merchant, Granville Dryer has his eye on Ruth as well as Dora although for an altogether different reason. He portrays himself as a patron of the ‘noble sport’ as boxing is known but he’s really in it for the money: ringside betting is a lucrative business as his dissolute friend, George, knows only too well. George also frequents the brothel but is just as happy in bed with his old school chum, Perry, whisked away from school when his family is struck by the small-pox that leaves his surviving sibling, Charlotte, badly scarred. When their parents die, these two are left alone grief-stricken but still sniping at each other until George arrives to take over the duties of the estate. After Ruth’s young man steps in to deflect the punishing blows of a male bruiser at St James’ Fair, Dryer turns his attentions from her to him, grooming Tom to become the Champion of all England. Always with an eye to the main chance, George sees the opportunity to make his fortune. All is set for glory. 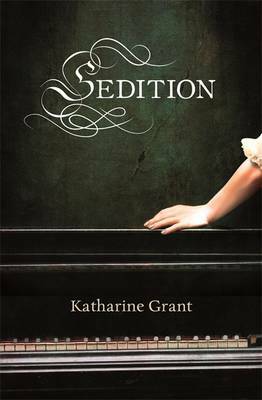 Freeman narrates her story through the voices of Ruth, George and Charlotte, getting things off to a stonking start with Ruth’s declaration of her passion for the ring and following it with colourful descriptions of life in an eighteenth-century brothel. Hard to follow such a strong, distinctive voice with a different narrator and the next two scene-setting sections from George and Charlotte almost inevitably seem a little slow in comparison. Once Dryer takes up Tom the novel hits its stride and you can’t help but root for Ruth and Tom in the hope that they will lift themselves out of squalor. Ruth’s narrative is strikingly vivid – ‘fart-catcher’, ’pug’, and ‘noddy’ are all useful additions to my vocabulary – and when Charlotte manages to belt out ‘”dumb-glutton scut”’…the closest I could come to running around unclothed’ – it makes you want to cheer. Freeman is particularly deft at conveying the material divisions between rich and poor: while Charlotte views The Ridings as a gloomy, down-at-heel establishment, for Ruth its gatehouse is the grandest thing she’s ever seen. I thoroughly enjoyed it and the added bonus for me was envisaging Queens Square teeming with visitors for St James’ Fair. It’s one of the few areas of Bristol that escaped the bombing of the Second World War then the Brutalist redevelopment of the 1960s. I’ll be remembering Ruth next time I cut through from the station on my way to Park Street. 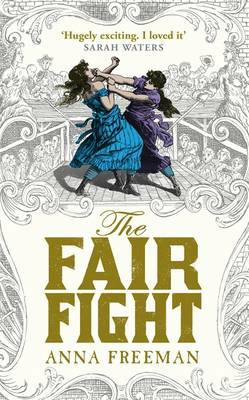 This entry was posted in Reviews and tagged Anna Freeman, Bristol, Eighteenth century fiction, Female pugilist, The Fair Fight, Weidenfeld & Nicolson on 10 September 2014 by Susan Osborne.